Given the fact that it is June and supposedly Summer (It’s hard to tell between the rain and sunshine). I thought I’d share my latest print purchase with all of you lovelies. 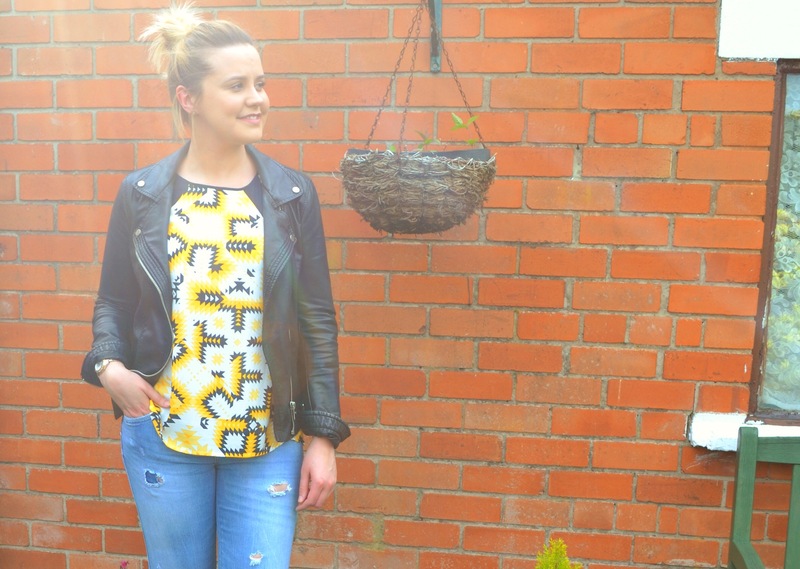 When it comes to statement pieces, I always head to Warehouse in Victoria Square for all things vibrant. I definitely do prefer a bold look over a sweet sherbet style as I personally think it’s what suits my skin tone best. I definitely feel more like myself when I wear prints and bright colours, particularly during the Summer months when I have somewhat of a tan (It’s hard to get one with Irish summers). 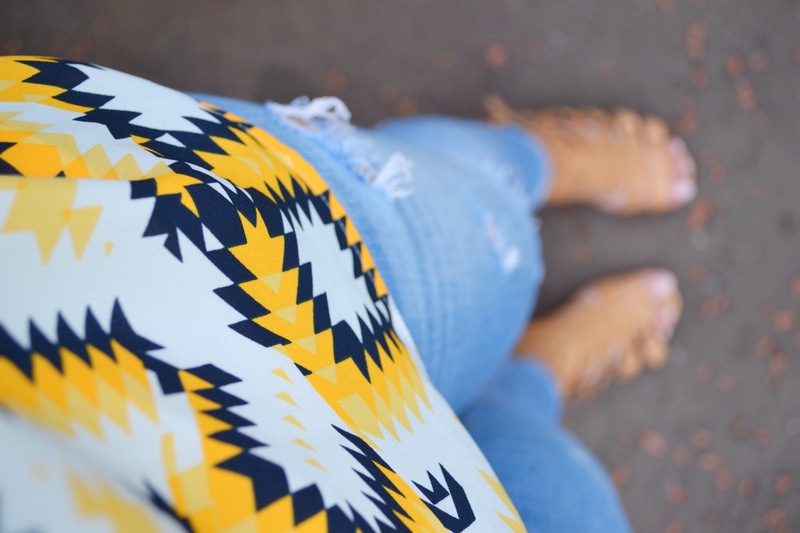 The Aztec print is always a strong contestant during the brighter months. 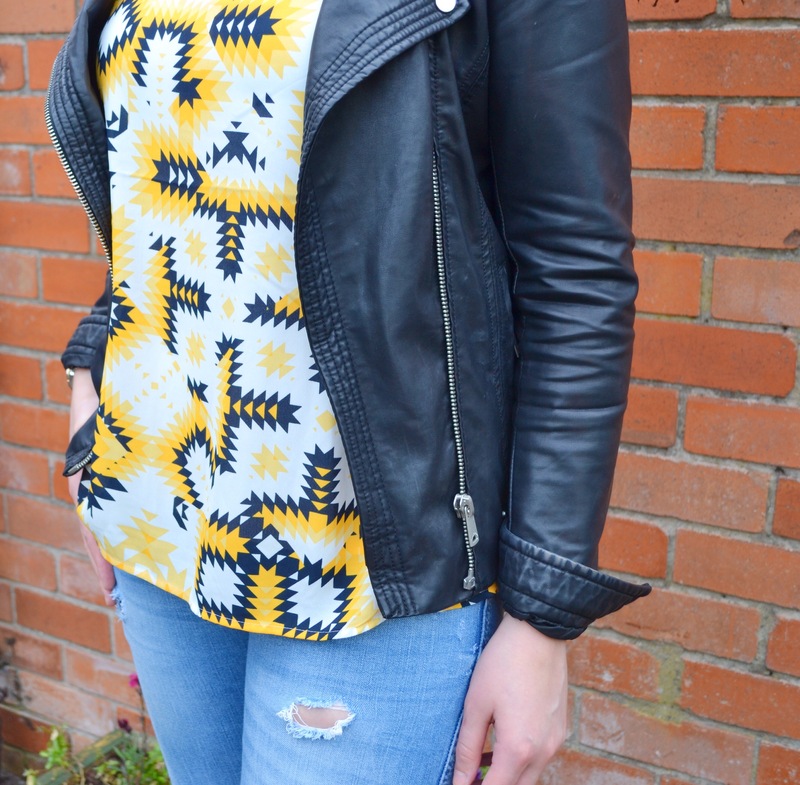 This gorgeous yellow and navy chiffon top is the perfect style for casual daytime looks and Summer BBQ’s. It has an open spilt back, although it was too cold to flash the flesh. If you keep an eye on my Instagram then I’ll be sure to upload a shot when it’s warmer. The love for my Carvela gladiator sandals is real. I love any excuse to wear these beauties, they’re so comfortable and they go with everything. I always try to incorporate some edge into my looks, I like combining different styles together. I think it makes your outfit more personal and shows your own creativity. Hope you’re all having a great week. Lets cross our fingers for some actual hot weather throughout the entire summer, I’m in dire need of some Vitamin D.
Love that Niamh, great outfit!